There are 15 Autocephalous (self-governing) and 4 Autonomous (self-ruling) Orthodox Churches around the World. An autocephalous church possesses the right to resolve all internal problems on its own authority and the ability to choose its own bishops, including the Patriarch, Archbishop or Metropolitan who heads the church. While each autocephalous church acts independently, they all remain in full sacramental and canonical communion with one another. Today these autocephalous Orthodox churches include the four ancient Eastern Patriarchates (Constantinople, Alexandria, Antioch, and Jerusalem), and ten other Orthodox churches that have emerged over the centuries in Russia, Serbia, Romania, Bulgaria, Georgia, Cyprus, Greece, Poland, Albania, and the Czech and Slovak Republics. 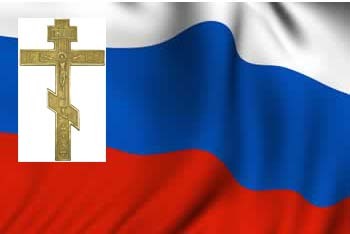 On its own initiative, the Patriarchate of Moscow has granted autocephalous status to most of its parishes in North America under the name of the Orthodox Church in America. But since the Patriarchate of Constantinople claims the exclusive right to grant autocephalous status, it and most other Orthodox churches do not recognize the autocephaly of the American church.